TSLPRB 2016 TS Police Constable Prelims Answer Key 2016: The TS Police Constable was successfully held on 24th April 2016 across the state of Telangana. The candidates who had applied for the exam have appeared for the exam in huge number. Those who had appeared for the exam for the posts in various fields might check for the answer keys to analyse their performance. The board will take some time to release the official answer keys. However, those who had appeared for the exam can check the keys from the website or simply click the link that was provided below as we will update here once they are out. Recruitment of SCT PC (CIVIL)(MEN & WOMEN), SCT PC (AR)(MEN & WOMEN), SCT PC (SAR CPL) (MEN), SCT PC (TSSP) (MEN) in Police Dept., CONSTABLE (MEN) IN SPF Dept., FIREMEN in Telangana State Disaster Response & Fire Services Dept. Lets us discussion about Telangana State Police is the law enforcement agency for state of Telangana in India. It was established in year 2nd June 2016 and main headquarters located in Office of the Director General of Police, Saifabad, Hyderabad.Just a few months ago, Telangana Police Department has issued total 9281 vacancies of Police Constable in Police Department. 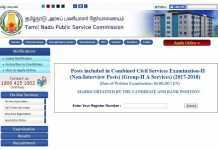 The online registration procedure has been completed on 11th January 2016 and ended on 04th February 2016 on its official portal. As per official sources, a number of qualified contenders applied online form and also paid the examination fee through bank challan and other payment gateway. 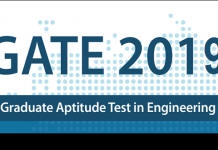 The preliminary examination is of objective type for 200 marks. The minimum marks to be secured by the candidates in order to qualify in the Preliminary Written Test in the paper is 40% for OCs (80 Marks), 35% for BCs (70 Marks) and 30% for SCs/STs/Ex-Servicemen (60 Marks). Telangana State level Police Recruitment Board (TSLPRB) released notification and invited online applications for the recruitment of 9281 Stipendiary Cadet Trainee (SCT) Police Constable, Constable, Firemen posts. 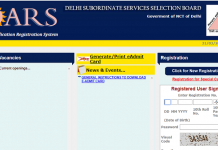 A huge number of eligible and interested candidates applied and appeared for the examination. 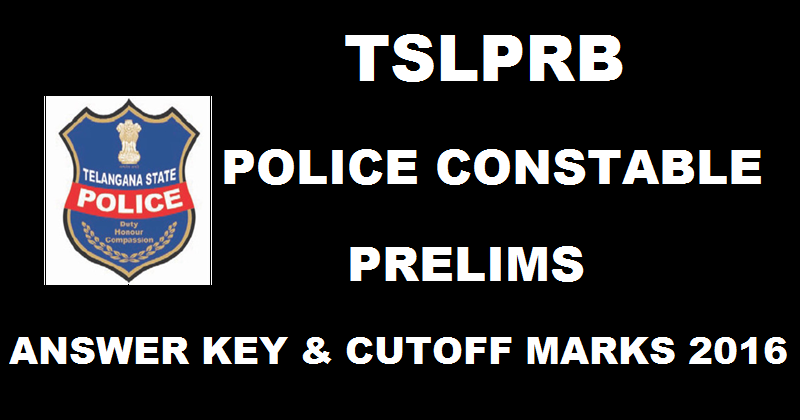 Candidates who had written the exam can check the TS Police Constable Preliminary written exam unofficial answer key from the direct link provided below. Candidates who will qualify in the prelims are only eligible for the further rounds. 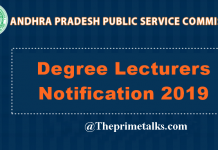 How To Download Telangana Constable Prelims Answer Key 2016 ?